Arbitration Award Category Archives — Securities Fraud Lawyer Blog Published by Securities Fraud Attorney — The Law Office of David Liebrader, Inc. In August, 2017, a FINRA arbitration panel sitting in Cheyenne, Wyoming issued a $569,000 binding arbitration award against Jacqueline Georgio (aka Jacqueline Westover) Paul Howard, Bryan Pederson and RBC Capital Markets. The award also provided for 10% interest on the award until paid in full. The underlying matter involved claims that Respondents negligently caused the Claimant to lose his retirement benefits by transferring money out of a qualified retirement plan. As a result of the transfer, Claimant lost a guaranteed income benefit of $3200 a month for life from the Wyoming state pension system. In July, 2017, a FINRA arbitrator panel sitting in New York, NY issued a $2.6 million binding arbitration award against Northeast Securities a FINRA registered broker dealer. The award was joint and several against Northeast Securities and registered reps Stephen Perrone, Diane Hawkins and Jonathan Zucker. The award includes nearly $900,000 in pre award interest and reimbursement for close to $34,000 in expert witness costs. Perrone, Hawkins and Zucker’s requests to expunge the claim from the CRD system was denied by the panel. The underlying matter involved corporate bonds, and Claimant asserted claims for breach of fiduciary duty, negligence, churning, misrepresentations and violations of FINRA rules. During the pendency of the case, the Claimant filed a request with the panel to make a disciplinary referral to FINRA for Respondents alleged refusal to turn over presumptively discoverable telephone records that could have aided Claimant’s case. The panel denied the request to make the disciplinary referral. Improbably, despite making such a large award on behalf of the Claimant, the panel split the arbitration hearing session fees 50-50, requiring Claimant to pay $13,500 to FINRA. In July, 2017, a FINRA arbitrator panel sitting in Los Angeles, CA issued a $1,797,100 binding arbitration award against Wedbush Securities a FINRA registered broker dealer. The award included nearly $1.2 million in punitive damages pursuant to the California Elder Abuse and Dependent Adult Act. The panel also added nearly $300,000 in attorney’s fees. After a seven day arbitration hearing over March and May, 2017, the arbitrators rendered their decision, and awarded the Claimant $250,000 in compensatory damages, with the remainder being commission disgorgement, punitive damages, attorney’s fees and costs. The panel found Wedbush solely liable, based on Wedbush’s obligation to indemnify Mark Augusta, and no portion of the award is owed by Augusta. The panel, nevertheless found that both Wedbush Securities and Mark Augusta engaged in “improper conduct.” Augusta left Wedbush in May, 2015 after four years with the firm. He is now registered with Hilltop Securities in Del Mar, California. In May, 2017, a FINRA arbitrator panel sitting in Los Angeles issued a $1,378,800 binding arbitration award against Charles Laverty in a case involving personal loans that the clients made to Laverty. The underlying matter involved allegations that Charles Laverty breached his fiduciary duty by soliciting a loan in violation of firm and industry rules. Allegations were also raised concerning the mismanagement of the account. Among the claims made were those for fraud, violations of state and federal securities laws and violations of FINRA’s rules. After a twelve day arbitration hearing stretching from June, 2016 to April, 2017, the arbitrators rendered their decision and awarded the Claimant $1,378,800 in damages. LPL Financial hit with $160,000 FINRA arbitration award. In June, 2017, a FINRA arbitrator panel sitting in San Francisco issued a $160,000 binding arbitration award against LPL Financial in a case involving VIX derivative securities. The VIX is a measure of the expected volatility in the stock market, specifically the S&P 500. The VIX serves as a barometer of investor sentiment, and it is used as a tool to hedge against market volatility. Among the ways to benefit from the rise and fall of the VIX index is buy purchasing or selling VIX option and futures. This can also be done via fund shares or exchange traded notes. In May, 2017, a FINRA arbitrator sitting in Los Angeles, CA issued a $51,000 binding arbitration award against Shane Melito, a registered representative with Network 1 Financial Securities. The underlying matter involved allegations that Shane Melito made unsuitable investments and breached his fiduciary duty to his customer. Claims of excessive commissions, excessive trading and over concentration were made by the Claimant. Also named in the award is Scott Schroeder a disbarred financial planner, also from the Dallas area. Ralph DeRose, Wunderlich Securities Ordered to Pay Investor $1,000,000. In April, 2017, a three member FINRA arbitration panel sitting in Cleveland, Ohio issued a $1,045,000 binding arbitration award against Ralph DeRose and Wunderlich Securities for violations in their Beachwood, OH office. 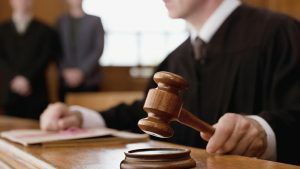 The underlying matter involved allegations that Ralph DeRose and Wunderlich Securities mismanaged a customer account, breached fiduciary duties, failed to follow instructions to sell, failed to diversify the account holdings and overly concentrated the account in energy related securities. The causes of action pertained to DeRose and Wunderlich’s violations of industry rules, including failure to supervise DeRose in his handling of the customer’s portfolio.